The new canoe is in the making, and one of my worst (?best) puns may yet become its name. 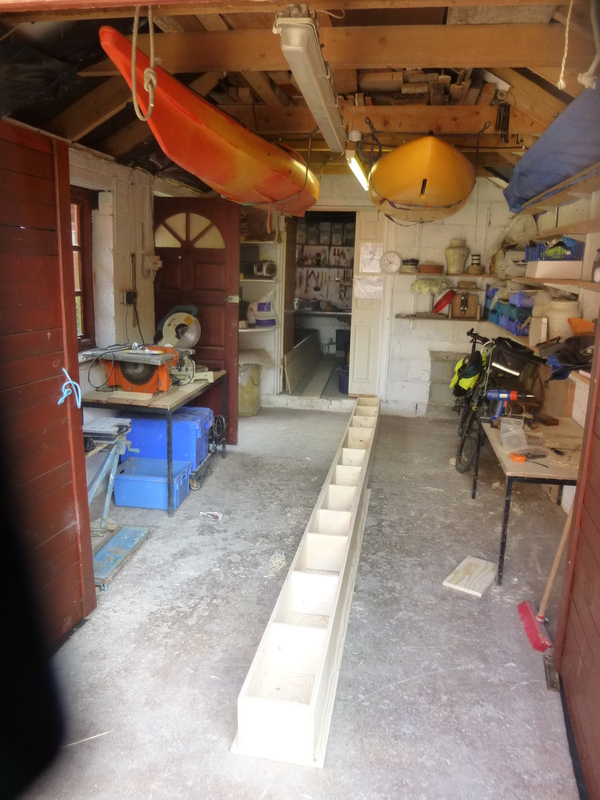 The photo shows the strongback in the making, and on which the canoe proper will be built. The plans were bought from Bear Mountain Boats in Canada, and the Western Red Cedar for the planking will come from Canada too, via a timber yard in Southampton. The design is old-school ‘Prospector’, proven and pleasing.The construction is modern: strip-planking soaked in epoxy and protected with glassfibre mat. It won’t be a quick build.